If the Chicago Transit Authority replaces existing fare cards with contactless credit cards, Pace, a Chicago area bus service, and Metra, Chicago’s regional rail system serving, must get on board. Officials from the Regional Transportation Authority, which oversees all three, view credit cards as the most logical solution to the agency’s quest for a universal fare card. 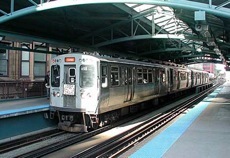 In 2005, RTA officials dismissed a proposal for a single card that could be used to ride the CTA, Metra and Pace because of the estimated $170 million cost for hardware and software. “If we don’t get active in this, we’ll be back four or five years from now in the same mess, if you will, where the CTA will have a system, Pace will have a system and Metra will have a system, and never the twain shall meet,” said one RTA official.